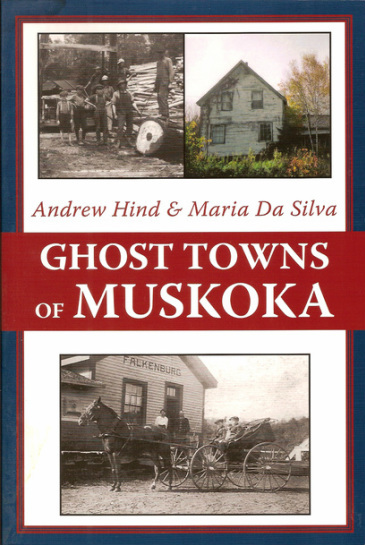 Ghost Towns of Muskoka explores the tragic history of a collection of communities from across Muskoka whose stars have long since faded. Today, these ghost towns are merely shadows - or spectres - of what they once were. Some have disappeared entirely, having been swallowed by regenerating forests, while others have been reduced to foundations, forlorn buildings, and silent ruins. A few support a handful of inhabitants, but even these towns are wrapped in a ghostly shroud. But this book isn't only about communities that have died. Rather is is about communitues that lived, vibrantly at that, if only for a brief time. Its about the people whose dreams for a better life these villages represented, the people who lived, loved, laboured, and ultimately died in these small wilderness settlements. And its about an era of history, those early heady days of Muskoka settlement when the forests were flooded with loggers and land-hungry settlers.